White Egg Laying Hens which are small in size and Brown Egg Laying Hens that are large in size. You have to select more egg productive hens for your layer farming business. In this case, you have to buy healthy chicks. Generally, at the first weeks after birth, many chicks are reluctant to drink water for transportation them from one place to another. So, you have to provide adequate water drinking systems, multivitamin, and electrolyte in their brooder house because these elements will decrease the tiredness and scarcity of water and make the chick normal. You have to keep in mind that low mortality rate = more production = more profit. So, you have to use vaccination program to keep your chicks free from all sorts of diseases in layer poultry farming. You have to provide them growing feeds to produce egg highly. In this case, you can provide high-quality pellet that will make your chickens healthy and increase their body weight. You have to be very conscious of egg production in Layer Poultry Farming. Egg production will depend on proper care and farm management. You have to be very aware of these elements. You have to cut the lip of laying hens to reduce mutual fights and food waste. You should not cut your chickens’ lips when they are provided vaccination, some medicines like sulfur and they are in a strain, adverse weather conditions and start laying eggs. You can take help from an experienced technician in this case. You have to think of proper feeding in layer poultry farming. Whenever you would buy feed from the local market, you have to think of the food value. You have to provide the feed that contains protein, vitamin, and minerals. Fresh drinking water is very important for laying hens. You have to maintain proper water management in Layer Poultry Farming. You have to maintain Layer Farm Sequence. This method begins when female chicks are raised in pullets to produce the egg. This stage is regarded as rearing. Besides, there are also other rearing systems. When the chicks require some extra heat that is regarded the brooding stage. It stays up to six weeks, relying on the temperature of the environment. You have to provide your chick’s chick starter that aims at ensuring they have enough protein and energy for the growth of the body. You have to ensure the movement of the Pullets and adult layer as the pullets will be matured into laying hens. So, they have to feed a layer ration designed for enabling them to perform best. You have to keep the adult layer in a house at 21-28oC. You have to collect egg every morning and eggs should be separated on the basis of egg weight. This process is done mechanically by a machine that is called an egg grader. After collecting eggs, you have to keep them in a cool room at about 13oC and transport them in an insulated truck. You can market of these eggs depending on a range of prices, the different sizes of egg, different brands, or other differences which satisfies particular buyers. 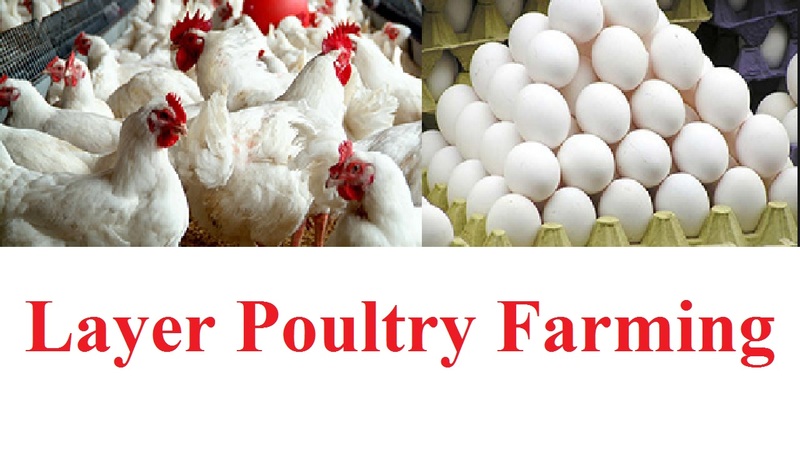 Finally, I would like to suggest you follow these tips for a successful layer poultry farming.